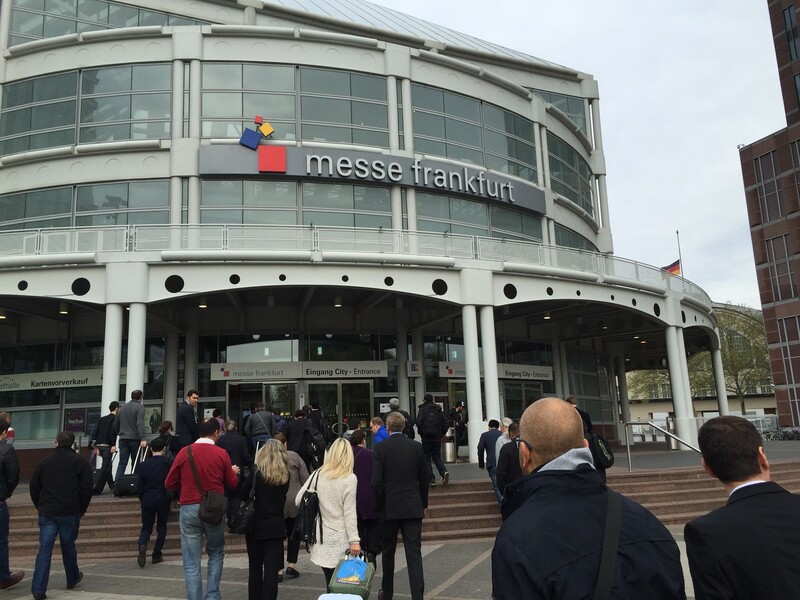 We are really happy to link here all the current press, blog and videos about our presence at the MusikMesse!!! Sonicstate.com interview, with a complete check of our product’s line! Tuesday Night Machines interview ! 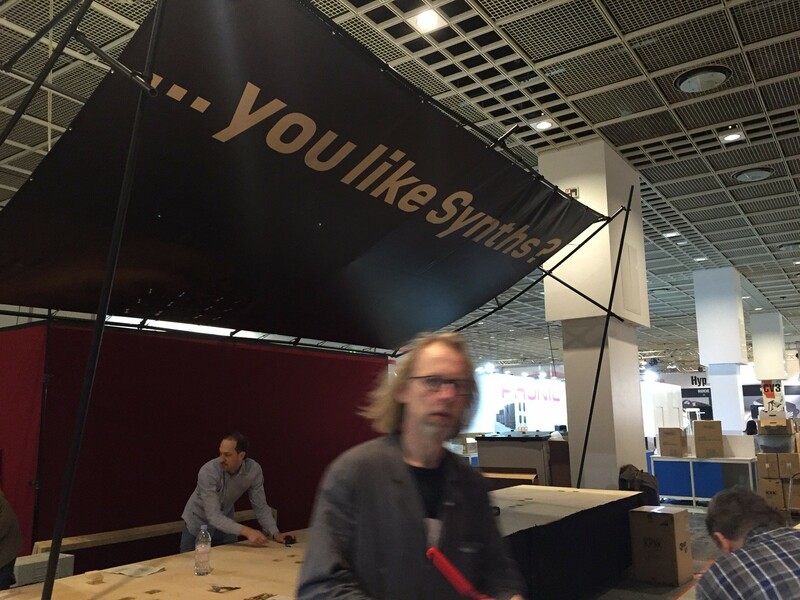 Herr Schneider building the booth! 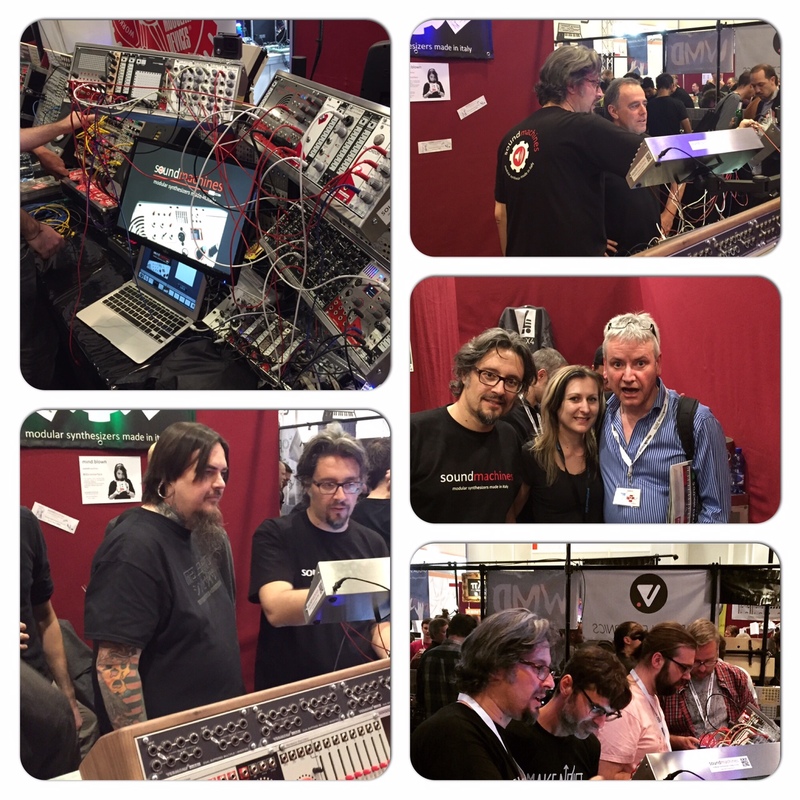 I described the mega-booth as a “sound and noise breathing monster”, pulsating with leds, lasers, miles of patch cables and a continuous flow of curious poeple or just plain nerds like us in search of the ultimate ‘hands on’ experience with those fascinating instruments that are getting more and more interest! We met some old friends and a lot of new people! 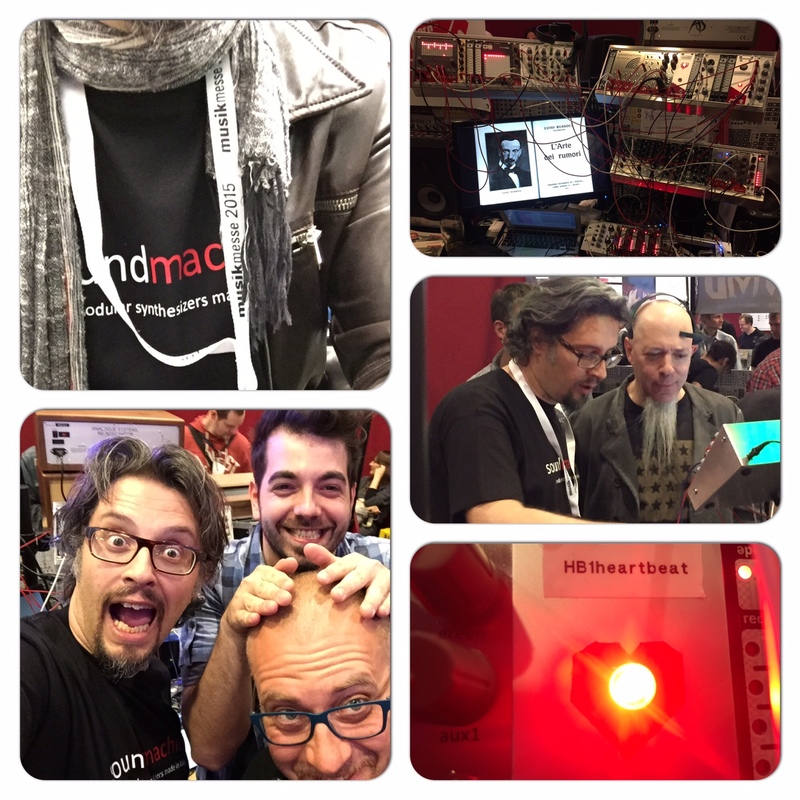 I personally had the pleasure to chat with the most part of the modular manufacturer designers and all of them have this particular light in the eyes, it’s called Passion, or Love, I reckon. 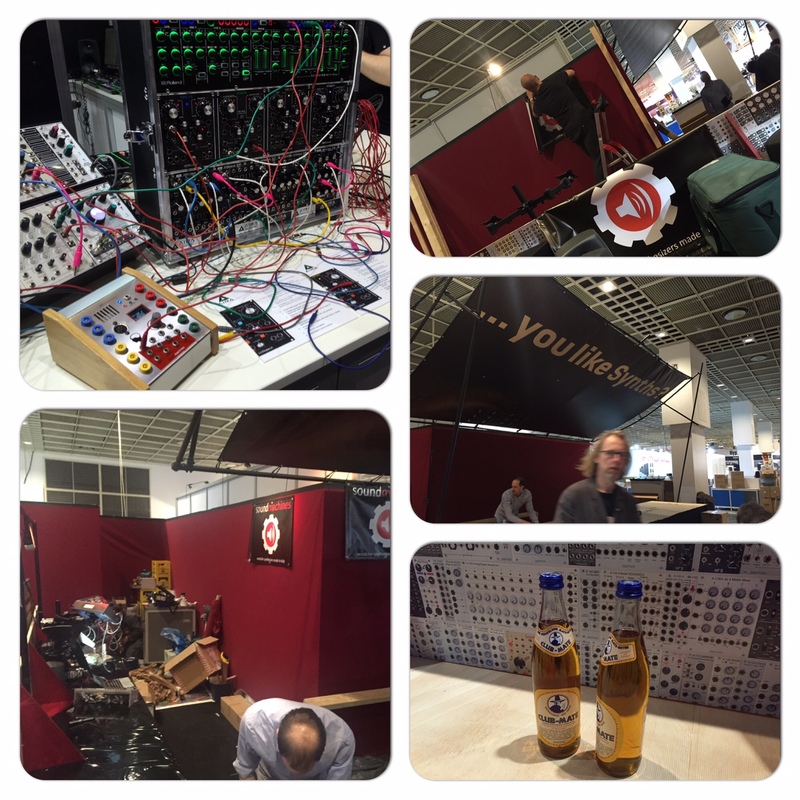 As a pretty young brand, soundmachines is already well-known in the modular market and we are getting more and more recognised for our innovative take on modules! 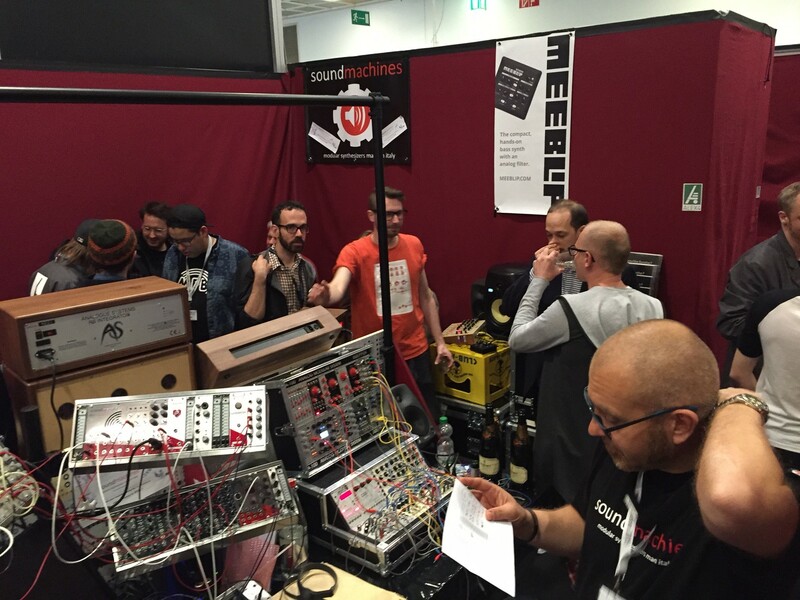 This year the Musik Messe has been a blast for the modular scene… Small and (very) big manufacturers joined the bandwagon and unveiled lots and lots of modules! The biggest news probably came from Roland that not only presented its eurorack-compatible range of digital AIRA branded cv-able effects but also a line of system100 inspired full analog modules manufactured by Malekko nonetheless!! I had the pleasure to talk about this with Joshua and the details of the very secretive process were very interesting and entertaining! This is also a recognition of the ’boutique’ builders from the big guys… and it’s not something that everyone expected! 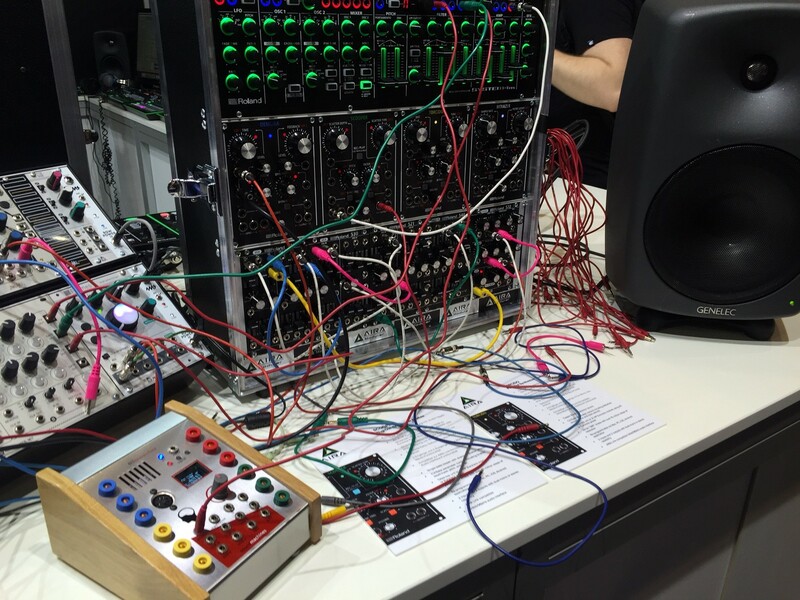 You can see here a picture of the AIRA modular stuff with our BI1brainterface as a sparring partner in the Roland/Aira booth!!!!!!!!!! 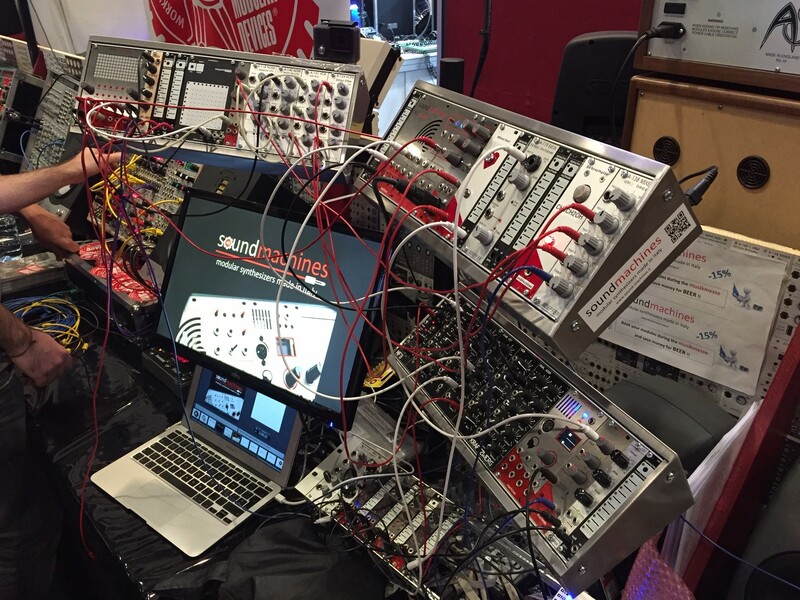 Soundmachines had a very interesting setup that captured the attention of everyone! we decided to show the potential of our new cases (the FMJ3) by using a multiple VESA mount so the cases were actually floating above the table surface and could be moved around easily and showed to the people. Many considered this a great change of ergonomics for the performing musician, normally hunched on a table full of gear! We presented a couple of prototypes that made the press rounds quickly! The first is an heartrate to clock/cv interface. 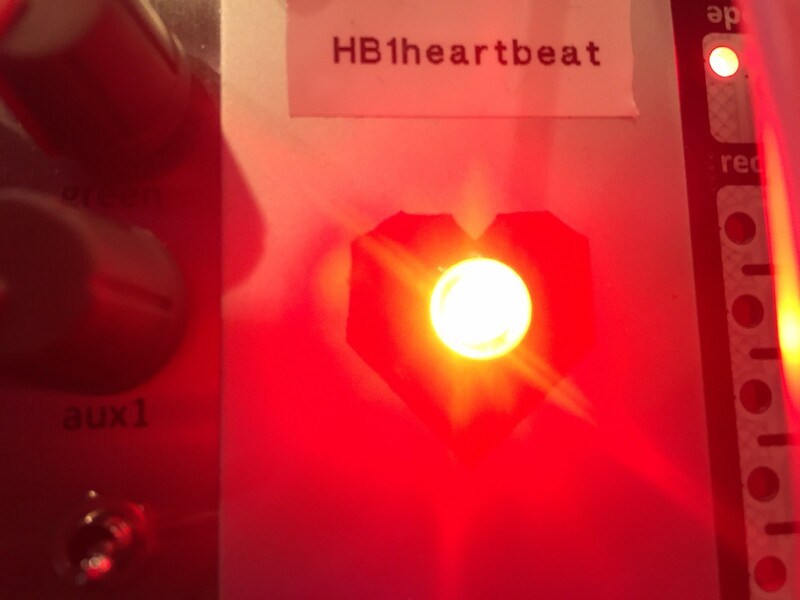 Called the HB1heartbeat, using a standard POLAR chest strap we detect the heart rate of the person wearing it and generate a GATE/CLOCK signal with the BPM of his/her heart! The module is currently under final development and we expect to start selling it in the summer! 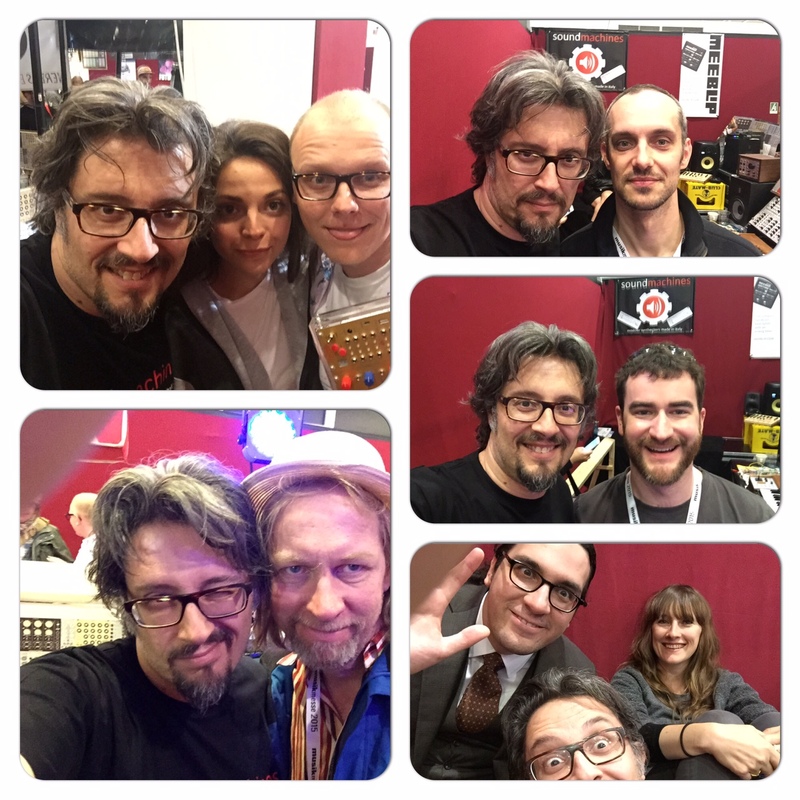 And now a miscellanea of pictures, including a lot of selfies with the other manufacturers! Enjoy the ride! Mr.Jordan Rudess testing the BI1brainterface. Us with Fraptools cases, also from Italy! Building the booth, and caffeine. 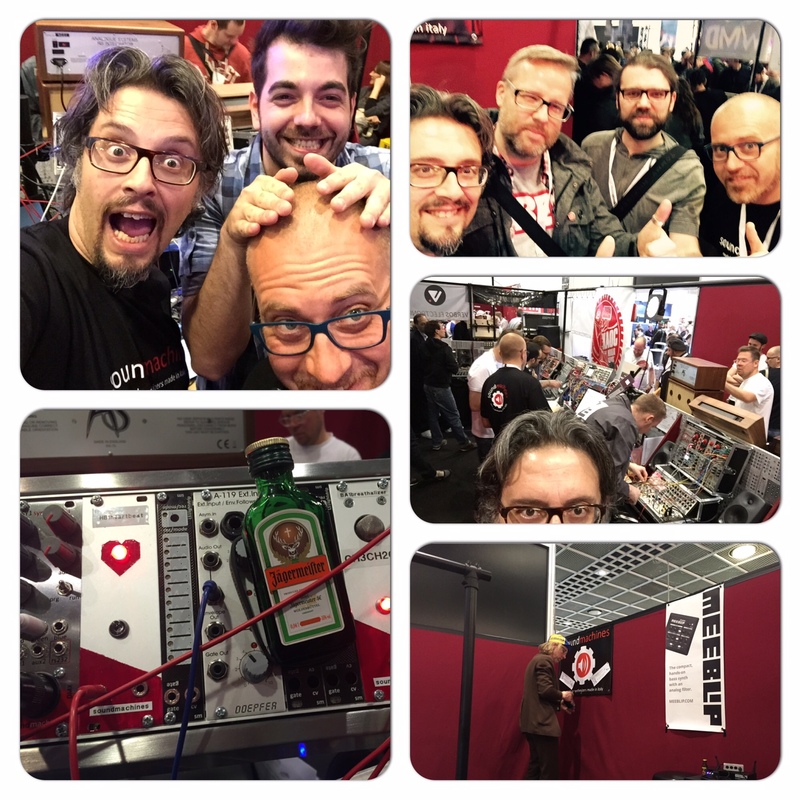 Endorphin.es, Verbos, WMD, Herr Schneider, The Harvestman ! 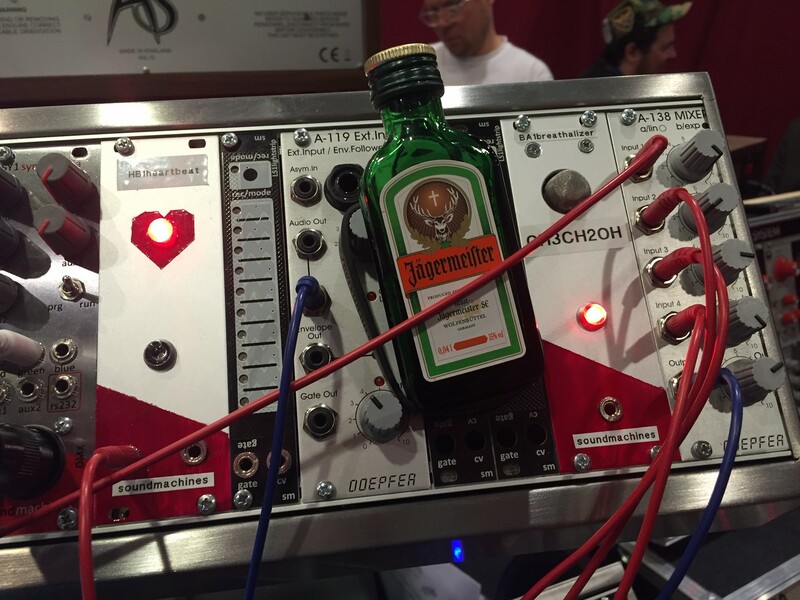 Herr Doepfer, Macbeth, Malekko, MakeNoise !